Do you have heartburn? If so, you are amongst the millions of Americans with chest discomfort associated with eating. Contrary to what you may believe from watching television, this is not normal. Common, but not normal. Heartburn or GERD (gastroesophageal reflux disease) can be easily prevented with Paleo nutrition and nutritional supplements. But the vast majority of people do not know this and believe pharmaceuticals to be the only option. You see, the medical doctor gets you out of the office quickly by writing a prescription for the latest drug for heartburn. Usually the script is related to the most recent company that bought the doctor lunch or dinner. Trust me, I saw this on a daily basis. But more scary news is coming out about the class of drugs called Proton Pump Inhibitors (PPI’s). They double your risk of dying from a heart attack, according to a recent study. This was reported in PLOS One, a peer reviewed online journal (1). Heart attacks were increased by 16%. 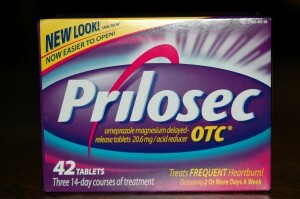 This class of drugs is sold over the counter as omeprazole, generic version of Prilosec. Other brands are Prevacid and Protonix. 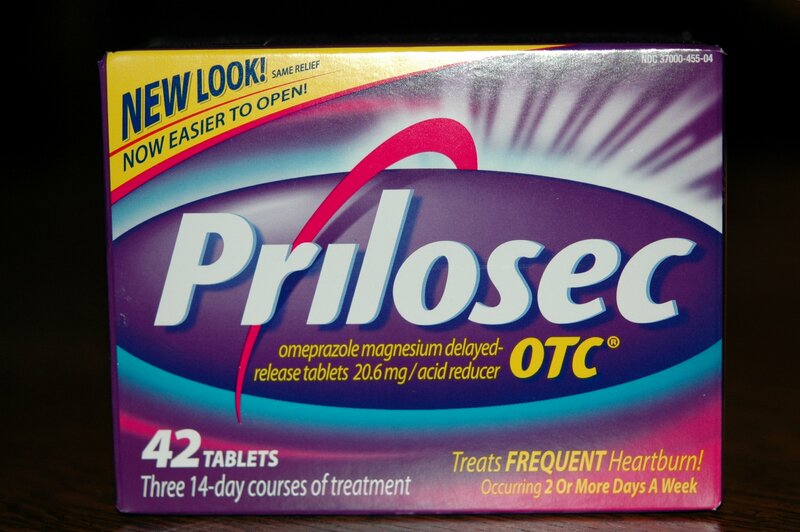 The PPI class of drugs have earned billions in profits preventing symptoms of heartburn. Do they work? Sure. By preventing the secretion of stomach acid, symptoms go away. Problem solved, right? Whoever built us, call them God, the Creator, or evolution etc. gave us stomach acid for a reason. It is to digest our food and kill off bad bacteria. In fact, gastric acid starts off the digestive cascade. The acidic stomach dumps into the duodenum, the first part of the small intestine. There it meets alkaline secretions from the liver and pancreas. It is a perfect system we have in place. Long term use of PPI’s is associated with risk of bone fractures (2), intestinal bacterial infections (3), and low magnesium levels (3). C. diff infections are common with PPI use and often require heavy doses of antibiotics to eradicate the infection. The answer is not drugs, but to heal your gut. Jonathan Wright MD wrote a book a few years back called Why Stomach Acid is Good for You. It is one of the 1st books I read while transitioning to a holistic doctor. It is common sense that acid is necessary yet doctors are brainwashed like the rest of the American public to think reflux is actually a disease. We recommend treating with a holistic doctor to put you on the right protocol to tune-up your gut. You will be back to health in no time. Total body health starts in the gastrointestinal tract.